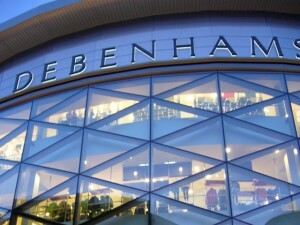 Though I’d had a wander around several times before, today was the first occasion that I’d actually bought something from Newcastle’s recently opened Debenhams store. However, if the good quality customer service that I received is the norm, it gives me every incentive to go back. I was looking for a nice shirt and tie, and, having decided (for once) to try somewhere a bit more upmarket than TJ Hughes, found myself in the Debenhams menswear department. This is on the ground floor of the store, one level down from the St Andrew’s Way mall, and with an entrance on to Newgate Street. Like the rest of the shop, the interior of the menswear department is clean, classy and not too crowded, giving plenty of space to browse, and the staff appear uniformly smart and attentive. 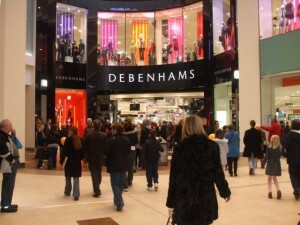 Having made my selection, I went to the menswear tills, where both cashiers were serving but I was first in the queue. When a cash desk became free, the smartly suited staff member, Sean, apologised for the wait, though in reality I’d only been left hanging on for thirty seconds so – in many other fashion stores, that would be speedy service. While dealing with my purchase, he was chatty but polite, before holding the bag by the corners when he handed it over the counter – perhaps an old fashioned trick, but one that somehow shows due respect for both the customer and the item being purchased. Overall then, a positive impression from my first shopping experience in Newcastle’s Debenhams, and one where the attention to detail made all the difference.